noun A secret society of conspiratorial plotters. Receive invites to exclusive Cabal only events, such as recent bashes at Blasta, Wayward, Sauce Ballistic & with more at KAIJU! to come! Get your hands on free beer, merch, two-for-ones, discounts and more at breweries and venues across Australia. There are currently more than 130 live offers. We line up exclusive discounts for Cabalistas on beer direct from breweries and retailers to your home plus free and discounted tickets to the best beer festivals. We run monthly prize draws for cases of beer and brewery merch, as well as for the best photos tagged #craftycabal. The current one features four mixed cases from Detour Beer Co! Become a Crafty supporter by joining The Cabal. Look out for our regular signup bonuses too, including those for GABS 2019, Fresh Hop 2019 and more to come soon! Stay in touch via social media & fortnightly updates here & on The Crafty Pint. And know that your support helps a small, independent, crafty operation grow! 10% OFF ALL TAP BEER! Once you've signed up you'll be given a unique Cabalista number and gain access to your personal, (digital) leather bound passport. Within the passport, you'll be able to view what offers are available, what events you can register for, what deals can be bought through your member's area plus the latest news for Cabal members, including your chance to enter our monthly prize draws. Click on an offer and you'll be able to read about it in full and, once you're ready to redeem it, show it to staff at the venue / brewery who will look after you. For offers you can redeem from home, you'll be instructed as to what you need to do. Once an offer has been redeemed, it will no longer be accessible – unless it's one that's reusable. You can redeem as many offers as you are able – all of them if you can. As for events and in-site purchases, they're simple too: just follow the instructions for each. We'll be adding new offers regularly throughout the year and notifying Cabalistas of one-off deals, discounts and special events via an email newsletter and fortnightly updates on The Crafty Pint and this site. We'll also notify people of the latest offers via The Crafty Pint's social media channels. On top of this, The Crafty Pint will be throwing parties for Cabalistas around the country where there will be free beer, food, take home goodies and awesome beer industry people along to share a beer or three. Take Full Flight with the team at The Crafty Squire by tasting your way through all 12 of their taps for just $15! Cabalistas can get two tasting paddles for the price of one, so you can try every one of the brewhouse's offerings. For more than a decade, Warners at the Bay Bottleshop has been a premier craft beer destination for the mid New South Wales coast thanks to their incredible bottle selection and top shelf tap list that makes it a prime venue to fill up your growler or squealer. Cabalistas can now get 20% off their growler or squealer fill any day of the week, every week! Boatrocker Brewing Co in the south of Melbourne has one heck of a tasting room, where you can work your way through any number of their barrel aged delights, while surrounded by the barrels from whence they came. Every week, Cabalistas can get their first two pints of core range beers at pot prices when visiting the Boatrocker Barrel Room. Love the lineup but can't decide what to drink? Treat yourself to a FREE tasting paddle at Beer DeLuxe Darling Harbour. Choose any four beers from the tap range and enjoy. To access the deal, you'll just need to download the Australian Venue Co app by heading here. NB: This offer is also available at Beer DeLuxe Fed Square and Beer DeLuxe Hawthorn. Come down to 3 Ravens Brewery Bar and Cellar Door and, when you buy one, we'll shout you your second glass of beer. Loch Brewery and Distillery is found in the heart of Loch in South Gippsland, producing beer, gin and whisky through traditional brewing and distilling processes and recipes. If you make the trip, Mel and Craig will be happy to take Cabalistas through their beer range with two tastings for the price of one. Grape and Grain Liquor Cellars in Moorabbin combines a bottleshop with one of the broadest ranges in Victoria with a bar specialising in the best beers we can source from Australia and overseas. If you're a Cabal member, then come and see us and enjoy two tasting paddles for the price of just one. At Bright Brewery, we love welcoming guests to our High Country home. And for Cabalistas we're rolling out the red carpet. Present your membership offer to us and we'll take both you and a friend on a brewery tour and tasting of our beers for the price of just one. Please make sure you book in advance so we know you're coming. There are few places that manage to nail the 'beer at your mate's place' as perfectly as Brisbane's Fitz & Potts. So, in the spirit of inviting your mates round for a beer, they're offering Cabalistas two for one schooners on your first purchase at the bar on Wednesday to Friday before 5pm. Two-for-one schooners on your first purchase at the bar when you show staff this offer on Wednesday, Thursday and before 5pm on Friday. It's all go at Big Shed Brewing Concern, with our bar and kitchen up and running, serving up our beers – including small batch specials – alongside those of the brewers that share our home. Bucket Boys in Marrickville is one of Sydney's best designed bottleshops, with a killer beer selection to boot. But you don't have to step foot in the door to take advantage of it, with their online store offering the goods no matter where you might be based. Cabalistas can now get 5% off their online orders, which means getting hold of rarities and favourites is even easier. Just head to bucketboys.com.au to start your order, then hit Redeem Offer to unveil the redemption code! Three mates who love brewing decided to build a brewery, and Black Hops was born. With a focus on regular special releases that are tapped up at their cellar door, it's worth paying a visit to their Burleigh Heads venue. To entice you through the door, Black Hops is offering a free tasting paddle to Cabalistas on their first visit. Armadale's newest craft beer venue has got Cabalistas covered. 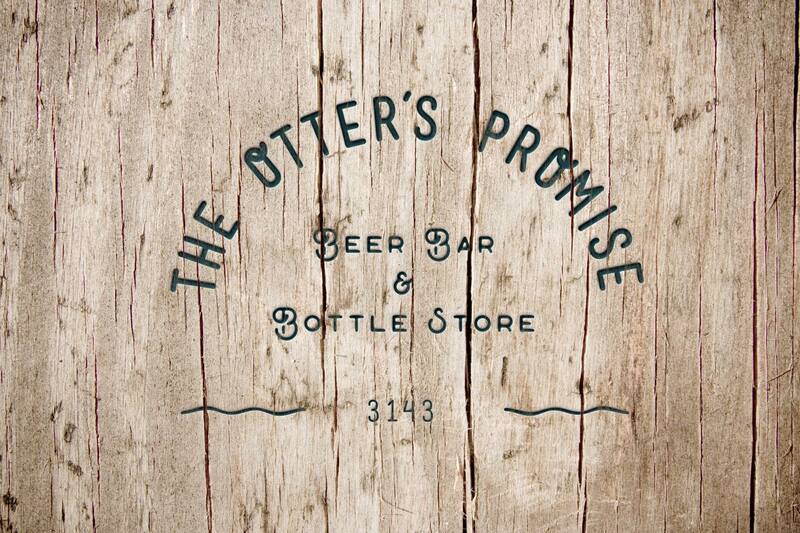 Head in to Otter's Promise on High St to check out their selection of around 300 beers, and you can redeem a 15% discount on the purchase of mixed sixes! Brewhouse Brisbane serves as the perfect centrepiece for Brisbane Brewing Co's beers, offering punters the chance to try the full range - from core beers to one off releases - in a pub you can't help but feel at home in. Make it a lunch or dinner booking, and Cabalistas can get a free pot of BBC beer with their main meal. Sounds like a plan! Cheltenham is no longer short of beer options, with the arrival of Bad Shepherd and its brewpub. Whether you're a local or heading that way for a beery adventure, the combination of Bad Shepherd brews and barbecue food from their smoker make for an afternoon well spent. To make it even easier, Bad Shepherd are offering a free tasting paddle for Cabalistas, full of tasty drops from the Bad Shepherd range and guest taps. Just show your Cabal passport to redeem your offer! Ever fancied trying your hand at brewing on professional equipment? The Public Brewery offers a unique, hands-on brewing experience that’s takes you through each step of making your own beer, and leaves you with a final product to be proud of. Cabalistas keen to test their brewing prowess can sign up for a Brew Day with $50 knocked off either a standard brew or a premium brew at their Croydon premises. Far Side Beers is one of the best little bottleshops going around, and they've now added a front bar so you can settle in with whatever bottle you choose (and no corkage!). Once you're done perusing, grab a mixed six to receive 10% off the cost of your beers! Mountain Goat taps a new beer at its brewery bar pretty much every Friday evening. Single keg experiments, Rare Breeds, Barrel Breeds – you name it, chances are there will be something new pouring each week. And they want Cabalistas to try them all! If there's a new beer on tap, they'll give you the first pot free! Cabalistas who drop in on Clare Valley Brewing Co's cellar door in South Australia can get their favourite beers from the range at 10% off the price, so put a visit on your next SA trip schedule! One of Melbourne's newest brewpubs, Tallboy and Moose, is bringing beery goodness to the people of Preston. If you drop in to try the wares by picking up a tasting paddle, they'll add on a fifth taster for free! Modus Operandi is a family owned and run craft brewery based on the beautiful Northern Beaches of Sydney – where only the freshest ingredients are used to hand craft award winning beer. Up to 12 styles of beer pouring, hand crafted grub and live music on weekends – all within a real working brewery. The best way to get to know us is come on up to the brewery (only one bus ride from the city!) and try one of our six beer tasting paddles (and perhaps one of our famous M.O. Burgers)... and when you are about to head home we will give you one of our 946mL CANImals on the house! The masterclasses at 3 Ravens have become a regular fixture in the brewery's calendar of events with each session exploring a different aspect of beer. With the hop harvest winding down, 3 Ravens' latest masterclass is on beers that are decidedly hoppy in nature. You can read more about the event here. For Cabalistas, 3 Ravens has been kind enough to offer 10% off tickets that are normally $65. Simply follow this link, and apply your discount code. To access the code, just click on the REDEEM button below. At Mane Liquor, we love great beer and have one of the biggest and best ranges you'll find anywhere. We even brew collaboration brews with our mates in the WA brewing industry. We also have multiple taps for growler fills and are offering Cabal members 15% off every time they come to get theirs filled. Love the lineup but can't decide what to drink? Treat yourself to a FREE tasting paddle at Beer DeLuxe Federation Square. NB: This offer is also available at Beer DeLuxe Hawthorn and Beer DeLuxe Darling Harbour. Have you made your way to Semaphore to check out one of Adelaide's hidden craft beer gems yet? Sweet Amber Brew Cafe opened in 2015 and offers up a carefully curated lineup of beers across a handful of taps and well stocked fridges. What's more, beer is front and central when it comes to designing the menu too. If you need any extra incentive to head out, how does a free beer sound? Show the owners this offer and they'll shout your second pint. Blackman's Brewery have opened a new Geelong branch, and are ready to welcome you through the doors. What better way to kick off a visit than with a free tasting paddle? Thanks to ten taps and plenty of specialties, you can get to know the Blackman's range easily, so make sure to plan a visit soon! Looking for the perfect hamper this Christmas or just want to get your hands on a selection of craft beers from Australia and around the world? Why not try a Fishers craft beer and snacks hamper from Australia, New Zealand, the US or Europe? Or even a special selection of award winning beers? We are giving Crafty Cabal members a special offer of 15% off, plus free postage to Melbourne and surrounding suburbs on all purchases made from www.fishers.com.au. Just enter CraftyCabal15 at the check out to take advance of this offer! Wilson Brewing is a fast-growing Albany brewery with one of the warmest welcomes you'll come across! Next time you're in the Great Southern and call in, flash this offer and they'll give you 10% off all tap beer purchases! The Windsor Alehouse has brought craft beer to Punt Road, transforming itself from its former guise and lining up nine rotating taps pouring brews from Victoria and further afield. If you'd like to taste your way through the what's on tap, you can with this two for one tasting paddle deal. Pair them with one of the tasty dishes off the Windsor's menu and it's a great way to spend your day! Harvest Cellars is a gem of a bottleshop in Belgrave South. Owner Danny has put together a constantly evolving collection of great booze across the board, with a strong focus on local and international craft beer. Pick up a mixed six and he'll knock 10 percent off when you show this offer. It's reminiscent of a modern surf shack and has the cruisey vibes to match – not to mention a colourful lineup of beers, including the odd trophy-winner. And if you're a Cabalista heading to Brewhouse Margaret River you can try a tasting paddle of eight ponies and get 50 percent off. Just show staff this offer and away you go! 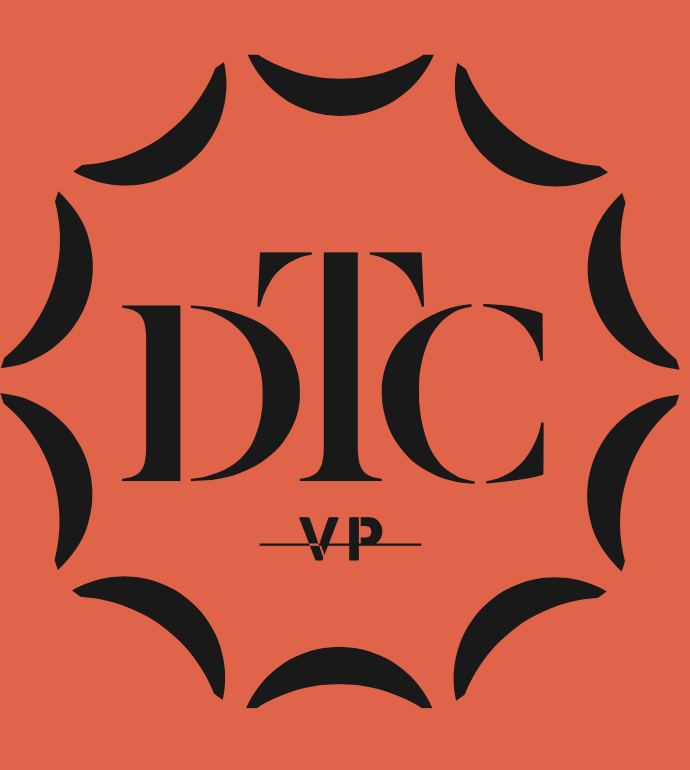 Detour Beer Co is located in the heart of the Yarra Valley, having launched at the very start of 2019. If you come out to see us at our Taphouse, we'll shout your first tasting paddle free. Seven Sheds is a small microbrewery with its own hop garden in Railton, NW Tasmania, founded by beer writer Willie Simpson and partner Catherine Stark. They brew a wide range of beers often influenced by traditional Old World classics and also celebrate beer's history and the local producers of our region in a series of colourful limited release beers. They run brewery tours that cost $25pp from Wednesday to Sunday at 12pm and are offering Cabal members a two-for-one deal. The brewery tour includes a tasting plus a glass of beer selected from the tasting range; and an informative tour of the hop garden and brewery. Participants must be aged 18 and over. This offer is available from 1 September to 31 July except between 27 December and 4 January. Mornington is one of the best stops you can take on your way through the Peninsula, both for the beers and for the food and atmosphere. Settle in for a paddle on your next visit thanks to your Crafty Cabal membership, and taste your way through some of the best beers Mornington has to offer! The Two Birds' Nest in Spotswood is the home of Two Birds Brewing, where we brew and package all of our beer and love to welcome guests to eat and drink alongside the tanks. For Cabal members, we're offering a complimentary Two Birds Squealer vessel, for you to fill with your choice of beer on your next visit. Staves Brewery is a real hidden gem in Sydney's Inner West. Alongside its core range, you'll always find something new pouring across the bar. If you're a Cabalista, they're offering you two for one on tasting paddles too. Enjoy! White Brick Brewing opened in late 2017, bringing local beer to the people of outer northern Brisbane suburb North Lakes for the first time. Alongside the core range, they're always bringing out new limited releases, which makes their Crafty Cabal offer ideal: you can enjoy a half price tasting paddle every few months, so there should be new beers to try each time you redeem. Napoleone Brewers is located in a beautiful home in the heart of the Yarra Valley. There, we brew a wide range of traditionally inspired ales and lagers next door to Napoleone Cider and our wine making brethren at Punt Road. If you come out to see us, we'll shout you your first tasting paddle free and would love to tell you all about what we do. Kooinda is a Melbourne based brewery that's moved from a backyard shed to brew-house in Heidelberg. Open to the public every Friday for their weekly Kooinda Sessions, the boys boast an ever rotating lineup of young unearthed bands and an amazing range of beers on tap. Now, if Cabalistas head along, they can enjoy their first schooner on the house – every Friday. Little Rivers Brewing is located in Tasmania's picturesque North East. Come and visit us at our brewery cellar door in Scottsdale and we'll treat you to a free tasting. If you're in Launceston and you love good beer you'll be checking out Saint John Craft Beer. If it's a first visit, we're pretty sure you'll like what we have to offer. But just to make sure, if you're a Cabal member, we're going to give you two-for-one when you buy your first beer. Choose any of our hot stone oven pizzas with a schooner of Young Henrys beer and pay just $15. We are as renowned for our pizzas as Young Henrys is renowned for its beer. So here's the perfect way to find out why! The craft beer scene in Sydney has been constantly growing and evolving in recent years. And as a tavern, the Pumphouse was one of the first venues to bring good beer to the city and key to the development of Sydney’s appreciation of the drink. Originally built as a pumping station in 1890 as the name suggests, the iconic Pumphouse bar now stocks a diverse selection of over 100 different craft and premium brews tailoring it to both beer lovers and novices alike. With a rich history as one of Sydney’s first microbreweries, Pumphouse serves over 60 local and international craft beers as well as its own renowned signature, the Thunderbolt Strong Ale. Delicious pub food and beer tasting paddles are also available at the venue. Exclusive to Cabal members only, you can grab two beer tasting paddles for the price of one when you show this offer. Bitter Phew is a Sydney institution and one of the best bars in Australia for beer lovers. Not only does it look like little else, thanks to some Scandinavian influences, but the taps lining the bar above Oxford Street frequently pour beers rarely found elsewhere. Next time you head in, flash this offer to staff and, if you're there at the time (see below) they'll serve you schooners for the price of 330ml beers. As a brewpub, Nowhereman releases new beers pretty regularly and they like to hold launch events for them too. If you can make it along to any launch, show them this offer and you can get your hands on handles at a special Cabalista price of $5. Keep an eye on Nowhereman Facebook page and the Crafty events diary for details of launches! Tooborac Hotel & Brewery is located in a beautiful historic bluestone building and the rebuilt Cobb & Co stables also dating from the mid 1800s, a little more than an hour north of Melbourne. We produce a range of ales and lagers, including regular seasonals and one-offs, that are best enjoyed in the hotel bar or restaurant. Next time you're passing, call in and we'll shout you a tasting paddle of our beers with any meal purchase. And if you want to continue beyond that, we've got accommodation on site too, perfect for exploring the region. Come and see us at our brewery in Reservoir and walk away with beer at a 20% discount. There's always someone there to help you during weekday work hours. You could even stop in for a game of pool and watch us brewing beer too. At Brisbane Brewing Co, we brew a wide and ever-changing lineup of beers at our home in the heart of Brisbane's West End. It's a home that combines laneyway with courtyard, deli, bar and restaurant – as well as our busy brewery, of course. If you're a Cabal member, then come and see us and we'll give you two-for-one tasting paddles when you first come to the bar – enough to try pretty much everything we've got pouring so you can pick your favourites for round two! Tippler's Tap now operates two venues in Brisbane, with the newest its haunt in Fortitude Valley. It's home to 14 taps pouring nothing by SE Queensland beers, quality coffee, Chicago style food and good times aplenty. Call in and show us you're a Cabalista and there's a free basket of wings awaiting you on your first visit! Carwyn Cellars offers a number of subscription packs available online, among them Club Wild, made up of a selection of sour, wild ferment, mixed fermentation and farmhouse style beers. They send 12 beers every two months and, as a Cabal member, you can get your hands on them for $10 less than everyone else. Just head here and enter the code you'll see when you hit REDEEM when making the purchase. Ever wanted to try a Double Dutch rudder with your best friend but were too scared to try? We can help break the ice....by offering this unique experience at a discounted price!! Rather than $125 for the biggest tasting tray in the Southern Hemisphere (perhaps even the world! ), we will offer this liquid laden rudder for only $100! The first Red Duck Cabalista special Quack Pack may have sold out fast, but you can still save on the Ballarat brewer's beers. Head to their cellar door in Ballarat, show them this offer and they'll take 10 percent off your beer purchase. And maybe show you around the brewery too. Meatmaiden is a haven for carnivores found in a basement down a Melbourne laneway that offers a fine line in local beers, wine and spirits too. Head in and flash the staff this offer and you can take your pick of beers from their six rotating taps and a serving of pork and gruyere croquettes for just $15 while you work out what else to tuck into! Burnley Brewing has brought the beers of a German trained brewer to a refined brewpub in Richmond. Head in and you'll be able to pick from 14 beers at any one time. And, as a Cabalista, you'll get two beers for one for your first order of the day. Every day. The Perth beer scene is coming alive and at The Dutch Trading Co we're delighted to be at the forefront of the wave of new venues bringing great beer to people. We have a huge range of beers sourced from all over the world – and a particular soft spot for sours. If you'd like to come and check us out, show us you're a Cabal member and we'll give you your first tasting paddle half price. Helios Brewing is one of the newest members of Brisbane's burgeoning brewing community, one with sustainability at the heart of everything it does and a trophy-winning brewer at the helm. Head to the Yeerongpilly brewery to say hi, show them this offer at the bar and a half price tasting paddle is yours! Stein's Taphouse is a gem of a beer venue in a place you might not expect to find one: the roadhouse style venue occupies part of the old Penfolds operation in the Barossa Valley. It's home to nothing but independent Aussie craft beers, spirits, ciders and wines plus live music and US inspired food too. Call in and enjoy a tasting flight of five of our tap beers (your choice) served in 170ml glasses – half price. That's $10 for five beers! 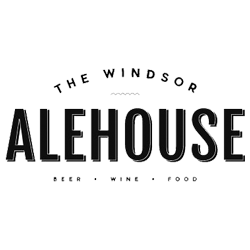 The Australian Brewery is located in a large, multi-function space in the northwestern Sydney suburb of Rouse Hill. We were the first Australian microbrewery to can our beer and produce a range of seasonals as well as a core range that's available nationwide. Come and see us, show us you're Cabal members and we'll shout you your first tasting paddle. Love the lineup but can't decide what to drink? Treat yourself to a FREE tasting paddle at Beer DeLuxe Hawthorn. NB: This offer is also available at Beer DeLuxe Fed Square and Beer DeLuxe Darling Harbour. 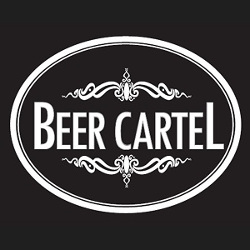 Place an online order with Beer Cartel and get 5% off any single beers purchased. The Retreat in Abbotsford is a pub done right: good beer, good food, good people and good times in a setting that feels timeless. Next time you call in between Monday and Thursday, flash this offer to the bar staff and you can enjoy two-for-one on your first round. At Miss Moses, we love good brews, great blues and food you can eat with one hand holding a beer in the other. So, if you come to see us at our Brunswick bar and order any of our delicious burgers or sandwiches, flash this offer and we'll give you your choice of pot and a side of fries to go with it on the house – every week! Come and see us at the Red Shed, the home of Hobart Brewing Co and one of Australia's newest breweries. Having launched in 2014 with our Harbour Master Ale, we now brew a wide range of beers in the industrial warehouse we reinvented just a short walk on the opposite side of Sullivans Cove to Salamanca Place. Any Cabalista that comes to see us will be rewarded with a free tasting paddle – as well as our warm hospitality and views across the city to Mount Wellington. See you soon! Bine Beer Bar brings craft beer and great beer food to Nobby Beach in the heart of the Gold Coast. We're just a short walk from the surf and have eight rotating taps as well as a long bottle beer list. Next time you're in, show us your Cabal membership and we'll shout you a tasting paddle when you order a meal. The Palace Hotel is a pub's pub, the sort of place every suburb should have. Beer gardens, pub grub, pool table, dog friendly, friendly staff and heaps of taps of quality beer. Call in for lunch during the week and they've got two for one pots for Cabal members. Isles Lane is the Brisbane CBD venue that's a little bit Parisien café, a bit NYC hotel bar, a bit English pub and a great spot to indulge your whims in many ways, from hitting the oyster bar to attending a beer vs wine degustation, indulging in a cocktail or taking on a litre stein of beer. Or, if you're in the mood for a tinnie or two, show the staff you're a Cabal member and you can get your hands on $7 cans all day, every day. Take your pick from any of the beers on tap when you call in and we'll shout you a second glass and a wink for free. At Pikes, we're keeping family traditions that stretch back way into the 19th century alive. The original Pikes beers were brewed in the small town of Oakbank in the Adelaide Hills more than 140 years ago and now Henry Pike's descendants have built a new brewery where a selection of delicious new brews are served up along with a side of heritage! Call in to see us in action, have a chat and sample the beers at source and we'll give Cabal members 10 percent off all take home purchases, including beer and merch. The team at East of Everything is delighted to offer Crafty Cabalistas a complimentary schooner on their next visit to our venue in Camberwell. See you for a beer soon! Jimmy's Tap & Barrel is bringing the marvel of all things malt to Ascot Vale, with a wide array of craft beer and whisky (and more besides). Come and see us and we'll shout you your first pot – then come again the next week and we'll do it all over again! Red Hill on the Mornington Peninsula is worth a visit for the view of the hop bines alone, but the British and European-influenced ales make it all the better. From the core range to special barrel aged brews, Red Hill has plenty to offer, whatever your preference. To make selecting a beer even easier, Red Hill is offering two pints for the price of one for Cabalistas. Just bring your Cabal passport to redeem your offer. Head up to the rooftop at Hotel Sweeney's, buy a schooner and we'll upgrade you to a pint - for free. We've got eight taps pouring some of the best craft beer from home and abroad, tap takeovers almost every Friday and we're open late. Bridge Road Brewers are located in one of Australia's most picturesque villages, at the foot of the Victorian Alps. We pride ourselves on brewing some of the countries best beers, 100% in house! Head to Bridge Road Brewers in beautiful Beechworth and treat yourself to one of our famous tasting paddles. Then, once you're done, come back to the bar and choose a pint of your favourite on us. A Point of Difference Liquor is delivering on what it promises, with a growing range of craft beer filling the shelves throughout the Mitcham store. Make the most of the selection by picking up a mixed dozen beers and get a whopping 20% off your purchase! Prancing Pony is based in the Adelaide Hills and has enjoyed rapid growth since producing its first beers in 2013. Now located just a short distance from Hahndorf, our home combines brewery, bar, kitchen and beer garden in one. If you'd like to come and sample our colourful range of beers and you're a Cabalista, we'll give you two tasting paddles for the price of one. We don't mess about at Feral Brewing so we figured we'd make our Crafty Cabal offer pretty damn special. Come and see us at our Swan Valley Brewpub and, once you've enjoyed working your way through our beers and tried some of our delicious food, pick your favourite beer and we'll fill a growler with it for you to take home. That's right: a free growler filled with whatever beer you fancy. Head out to 4 Pines Brookvale Truck Bar on the site of their brewery and you'll find much to like these days now that there's a 21-tap bar built into an old Dodge truck serving fresh, fresh beer to visitors. If you head on in and prove your Cabal credentials, you'll be gifted with a 4 Pines growler – you just need to pay for the beer to go inside. The Truck Bar is open Fridays 4pm to 10pm and Sundays 12pm to 8pm. NB It is at 4G, 9-13 Winbourne Rd, Brookvale, NSW 2100 not the Manly brewpub. During summer 2018, Fury & Son opened a bar at its Keilor Park brewery home. It's open every Friday from midday to 11pm, serving up a range of its beers plus BBQ food. And, if you're a Cabalista, they'll give you your first drink free so go and say hi. Just a short drive outside Margaret River is Cheeky Monkey, one of the largest and most family friendly brewery cellar doors anywhere in Australia. We're inviting Cabalistas to come and see us to enjoy two of our popular tasting paddles for the price of one. Porters Liquor Ryde (Midway Cellars) has a great range of craft beer and, as of 2017, a CANimal machine. So come along and take advantage of both! Buy any six-pack of craft beer and we'll give you 50% off a CANimal – every time you come in! Newstead is one of the fastest growing microbreweries in Australia. We opened our doors in Brisbane in 2013 and already our beers are becoming widely available along the East Coast. Our brewery in Newstead is the best place to try our beers and has a top notch kitchen serving great food too. So pop in and see us and, when you show us you're a Cabal member, we'll shout you your first pint from any of the core range taps. Masterson's Bar has helped bring Hong Kong to Melbourne, thanks to an Aussie couple who fell in love with the beer scene there and have brought it back home. Once a month, Cabalistas can get $1 off all their drinks for the night just by flashing their membership. This offer is valid once per month, so you can come back to save on drinks again a little while later. Black Dog Brewery is located near historic Glenrowan, sharing a site with Taminick Cellars, a 110 year old Booth family-owned winery. We are about 10 mins out of Glenrowan located north on the western slopes of the Warby Ranges at the end of Booth Road. There, all of the wines and beers are made by James Booth, a fourth generation winemaker. Come and see us at the cellar door bar and, if you're one of the first 50 Cabal members to drop in, we'll shout you a tasting paddle. The Silverlake Social brings the sunny vibes, hoppy beers and classic cuisine of SoCal to Prahran. Any time you head in, flash the staff this offer and you can tuck into a schooner of any tap beer and your choice of burger for just $20. With 18 taps to fill with its beers, Wrong Side Brewing has plenty to offer visitors to its home on the shores of Lake Eildon in the Victorian High Country. And, as an extra enticement for Crafty Cabalistas, they're offering you a welcome four-beer tasting paddle. Better still, you can redeem the offer once a week too! As Sydney’s only dedicated growler store, the folks at Beer Barrel want to help you enjoy the biggest and freshest range of draught beer you can get outside of a brewery. And with 18 taps there’s plenty to choose from. To give you a taste of what they’re about, Cabalistas heading to the Chippendale store for the first time can grab a 1.9L growler (or bring your own), choose any beer from an Australian brewery and they’ll take 20% off the fill price. Dr Morse is the multifaceted Abbotsford venue with a remedy for whatever ails you. It's also the home for Bodriggy Brewing, at least until its brewery opens across the road. It's a partnership that's gold for Crafty Cabal members – show bar staff this offer and you'll get a $5 pint of any Bodriggy beer any time of the day. And you can get another one on your next visit. And your next. And... you get the idea. At the end of 2018, Hep, McGarry and the team at Your Mates made their dream a reality, opening the doors of their brewery home on the Sunshine Coast. Call in to see them and you can tuck into a free tasting paddle when you flash this offer to staff. After almost 90 years without a brewery to call its own, in 2014 Castlemaine got its own beer again. Shedshaker Brewing is found inside the town's reinvented Mill, serving up house made pizzas, good tunes, comedy and tasty beer in The Taproom. Head in and show your Cabalista credentials and you'll get two drinks for the price of one with your first order – every time you head in! Bandicoot Brewing brought brewing back to the port town of Echuca for the first time in generations and has been growing ever since, expanding from two beers to more than a dozen each year and from a tiny tasting bar at its home to a welcoming 11-tap brewery venue complete with pool table. When you call in to see owners Tracey and Bruce Green, show them this offer and they'll shout your first pot. You choose any six beers from our extensive craft beer range at Cellarbrations Carlisle and we will give you 15% off! Forester's Beer Hall is home to a huge array of awesome craft beer, both pouring through our 32 lines (and 50 taps) and in our well stocked and regularly changing fridges. If you come to see us and show your membership then we'll give you 25% off any bottles you buy. NB You can also grab some of Melbourne's best ramen while you're here too as the beer-loving team from Shizuku now operates our kitchen! White Oaks Saloon brings the vibe of old saloon bars from America's south to the streets of Prahran. You'll find US-inspired food, US and local beers, a wall of spirits and boilemakers that change every week. And, as a Cabal member, you can tuck into the hearty combo of Southern Fried Chicken with Cajun Tabasco Mayo and a craft beer for just $20 any time you call in. The Great Ocean Road Brewhouse in Apollo Bay is a home away from home for Prickly Moses, the brewery based in the Otways. There you can choose from 16 taps pouring their beers and ciders. As a Crafty Cabal member, you can grab two-for-one tasting paddles too. The Noble Hops want to give some happiness to those Cabalistas who walk through its doors. All you need to do is head into the Redfern bar, flash your membership and you can get happy hour prices on happy hour beers, wine and spirits. Hoppy days! Come and see us at our brewery home in Eagle Bay on the northwestern tip of the Margaret River region and enjoy a beer on us. Any Cabalista that buys a two-litre growler fill for $15 will be treated to a glass of one of our beers. We opened our second Newstead Brewing sitee in Milton early in 2017. It combines our main production brewery with a large venue. If you're a Cabal member, come to see us and we'll shout you your first pint from any of the core range taps. Young Henrys is one of the fastest growing microbreweries in Australia and has quickly become part of the very fabric of Sydney's Inner West. If you're a Cabalista, then come down, show us your credentials, we'll treat you and a mate on a tour and tasting and only one of you has to pay, saving you $40. Capital Brewing Co has shot out of the blocks since starting out as a gypsy operation and especially since opening the doors of its epic brewery venue in Canberra. Now they've put together an equally epic offer for Cabal members, featuring a beer on arrival, a behind-the-scenes tour of the brewhouse and a tasting paddle on completion – all free! Cabalistas can also book mates in for the experience for a discount price of just $25. Green Beacon Brewery is at the forefront of the changing beer scene in South East Queensland. We brew a wide range of beers – many of which are available in cans – at our home in Newstead, where you can come and enjoy beers right next to where they're brewed. As a Cabalista, next time you call in you'll be able to leave with a complimentary branded Green Beacon squealer – you just have to pay for the beer to fill it. The Mill Brewery is one of a growing number of breweries calling Collingwood home. Wander just a few steps from Smith Street and you'll find the brewpub. Pull up a pew inside or out and take your pick from the beers on tap. And the first time that you do, show staff this offer and you'll get a free tasting paddle. Enjoy! Clifton Hill Brewpub is one of the very few genuine brewpubs in inner Melbourne, thanks to our in-house brewery serving up new releases and old classics. With at least 12 taps pouring in house brews, it's worth a visit for the variety alone. Taste your way through eight of our beers with this two for one deal on tasting paddles, and find your new favourite for yourself. Watts River runs through the Yarra Valley town of Healesville. More importantly, it's the name of a brewery that calls the town home and makes some damn fine beers. Call in and flash this offer and they'll join you for a free tasting of those beers. We've unveiled a bold new look, launched our beers in cans and are busy expanding our brewing operations in Tanunda so there's plenty to check out at Barossa Valley Brewing. If you're a Crafty Cabalista, when you call in show us this offer and we'll pour you a complimentary pint with any food purchase. Join us for a personal tour of the Wheaty Brewing Corps Brewery followed by a tasting of WBC beers on tap. Wayward Brewing have been doing their thing as gypsy brewers since 2012, but finally settled in to their own digs in late 2015. Cabal members can now see what Wayward is all about, with a free middy of any Wayward beer, to be redeemed at our brewery cellar bar. Saccharomyces Beer Café is part of Brisbane's buzzing Fish Lane precinct, home to ten taps of the good stuff, food from dawn til dusk, pinball and fun times. Head along, show them you're a Cabal member, and they'll line up a pot of beer from their featured brewer with your meal. Come and say hello to the team at Blackman's in Torquay where we brew award-winning beers just a short walk from the beach. For Cabal members, we're offering you two tasting paddles for the price of one. The Cherry Tree in Cremorne is one of Melbourne's best beery secrets, home to 18 taps of nothing but damn fine craft beer. Or, as we like to say, we're "a luscious tropical isle cast adrift in a treacherous sea of SABMiller & Lion". Come and see for yourself and, while you're at it, flash us your Cabal credentials and we'll serve up one of our wood-fired pizzas and a pot of beer for just $15 any time, any day. The Taphouse in Darlinghurst is an icon of the Sydney craft beer scene, a venue that was pioneering great beer and beer events long before most if the city's beer bars were a twinkle in their owners' eyes. Now under new owners, and with the odd familiar face there too, it's firing on all cylinders and ready to welcome Cabalistas with $10 tasting paddles. You can grab one a day, every day – a saving of $7 a pop! What are you waiting for? Bright Tank Brewing Co is the East Perth brewpub launched by Matt Moore and Emma Sampson with as much of a focus on the finery of its dining as the diversity of its beers. If any Cabalistas head in, they can enjoy $7 large pours anytime – just show staff this offer and off you go! Foreigner Brewing Co brings Czech brewing tradition to a Brunswick warehouse. The brewery, which mixes traditional pilsners with New World styles, is open to the public Thursday to Saturday. When you make your first visit, show them this offer and the first schooner is on the house. Temple Brewing is a brewery on the up. The Brunswick-based brewer picked up its first major trophy for its Anytime IPA in 2015 and has a great range of fine ales and lagers on its brewery taps. Add a newly renovated beer garden and some of the best food you'll find at any brewery venue anywhere into the mix, and you can see why Temple Brewery Bar is a great way for a Cabalista to spend a lazy afternoon/ evening! If you've not eaten there yet, then there's added incentive for Cabal members: buy a meal and you'll get a Temple baseball cap (RRP $30) to take home! Captain Melville is one of the few classic pubs remaining in the Melbourne CBD, with 14 taps rotating through a wide array of Australian craft breweries. Any Cabal member who heads in on a Thursday and shows this offer can enjoy $7.50 schooners all day. Holgate Brewhouse is one of the longest established microbreweries in Victoria, launching in the back of Paul and Natasha Holgate's house in 1999. 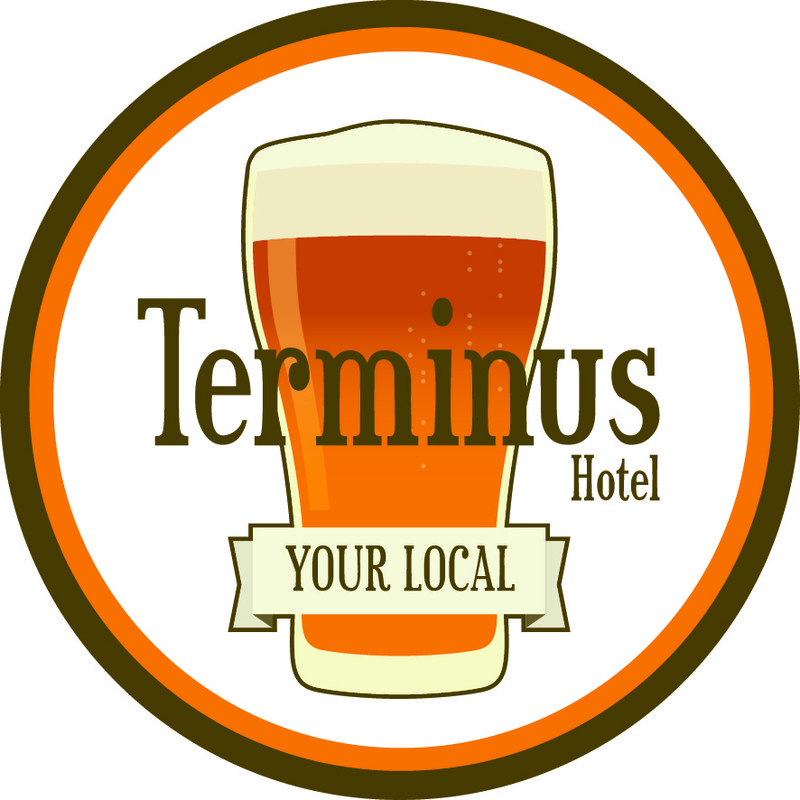 Today it is based in Woodend, in a hotel combining brewery, pub, restaurant and accommodation. The brewers continue to innovate, exploring barrel ageing, sours and more. And if you head along and show your Cabal membership you'll get 2-for-1 tasting paddles to sample the beers lining their bar. At the South Bank Tippler's Tap, we've got 13 taps that rotate through the best beers we can get our hands on, run regular events and serve up some of the tastiest beer-friendly food you'll find – with cracking vegan options too. And, if you're a Cabal member, call in and show staff this offer and you can take your pick from the taps and enjoy a free tasting paddle on the house. A highly rated dining room, a choice of old and new school beer bars, a beer garden, top beer food, a sports bar that means those who don’t like sport needn’t be bothered by it, and well-priced, heavily rotated craft beer. What’s not to like! If you come to see us and show your membership then we'll give you 25 percent off any bottles you buy. How's this for a sweet Cabal offer: head to Moon Dog's brewery bar any day they're open and they'll give you your first pot free! You can choose from any of the beers they're pouring by the pot. Dainton Family Brewery has opened the doors to its new Carrum Downs brewery, and you are welcome to come down and see what all the fuss is about! If you're a Cabal member, then come and see us and we'll give you a free tasting paddle when you first come to the bar. It's the perfect way to get to know the Dainton lineup, or to settle in with a friend over a few tasters! Free tasting paddle on your first visit. At Akasha there’s one thing we love more than making great beer and that’s sharing it with new friends. That’s why, when you come and visit us at the brewery for the first time, we’ll welcome you with a free tasting paddle. Our cellar door is open Friday to Sunday and we look forward to seeing you! If you're in Brisvegas and you love good beer you'll be checking out The Mill on Constance. If it's your first time, we're pretty sure you'll like what we have to offer. But, just to make sure, if you're a Cabal member, we're going to give you two-for-one when you buy your first beer! The Dan O'Connell is a classic Melbourne corner pub that's been one of the city's most popular Irish pubs for generations. In 2017, it was taken over by the teams from The Catfish and Northern Git and steered in a craftier direction. If you head in and show them your Cabalista credentials, they'll give you 2-for-1 pints on your first order, once a week. The good folks at Aether Brewing have got just the thing to aid Crafty Cabal members satisfy their rumbling bellies. Head in for a free schooner with any food purchase, redeemable once a month. Uitgang Bar specialises in serving up beer, cider, wine and spirits from independent Australian producers. It's a joint venture between Frase and Grum of Exit Brewing and their mate David and, when you head in for the first time, show them this offer and they'll line up a tasting paddle of any 4 of their 12 tap line up, for only $10! At The Beer Barrel we specialise in sending our customers home with growlers filled with the freshest draught beer we can get our hands on. By now, you probably know that as you'll have used your 20% off introductory offer. Which means you're back for more and to claim your 10% off Cabal special. Balter HQ is a brewery with an open door policy. You can come and tour the facility, taste the beers and enjoy special events, great music, food trucks and fun crew. Beer tasting happens just meters from the brewing equipment, so if you’re into seeing exactly where your drop comes from, it’s a perfect spot to chill. If you fancy coming to see us then we're shouting Cabalistas their first beer free. Hope to see you soon! Melbourne's southeast is a brewery hotspot these days, and it was 2 Brothers that led the way, opening its brewery in Moorabbin more than a decade ago in 2007. The intervening years have seen them collect trophies galore while their 15-tap Beerhall has a large and loyal following. Next time you head down, show staff this offer and you'll get a $20 tasting paddle on the house. King River Brewing is a recent addition to the High Country's colourful beer scene. With a focus on traditional beer styles, brewed and served in a picturesque farm setting in the heart of King Valley, it's got a tasty treat for Cabal members. Its home used to house one of the region's iconic restaurants, complete with highly rated wood-fired pizzas. When you call in, they'll serve up a pint of your choice and one of those pizzas for just $20. Since launching in 2016, Mr Banks has expanded its Seaford home to include a family-friendly brewery venue. Drop in to see them and you can get two core beers for the price of one on your first visit to the bar! Philter is the Sydney brewing company that landed the Champion Pale Ale title with its very first release and has gone on to win fan across Sydney and, over time, beyond. If you'd like to get a taste of what they offer, head to Booze Exchange, and when you've decided what Philter beer and gear you're after, click the redeem button to obtain a discount code that will save you 20%. Alice Rebel's is a delightfully quirky and crafty café that combines the offerings you might expect to find at a good local café with rather more in the shape of great beer, craft spirits and independent wine. Call in next time you're in Chelsea, flash this offer and they'll give you 10% off any meal and beer purchase. Bruny Island Beer Co is a partnership between Bruny Island Cheese and brewer Evan Hunter that produces unique beers via idiosyncratic methods. Each time you visit them in Tasmania's south, they'll give you a free beer or tasting paddle on arrival. Take a drive through the beautiful Hinterland of South East Queensland to the top of Mt Tamborine and say "Hi!" to the team at Fortitude Brewing. Our brewery is located right at the top of the mountain, where you'll find the full range of Fortitude and Noisy Minor beers on tap, all pouring within metres of the tanks where they're brewed. Pull up a table and we'll load it with two tasting paddles for the price of one too. We're always changing the beers we've got on tap at Brewski so we thought we'd best come up with an offer that allowed Cabalistas to make the most of it. So we're offering two-for-one schooners on your first purchase at the bar when you show staff this offer. AND! Leave it a week and this offer will becoming magically available again so you can come back and use it again. Take a drive – or a boat along the Murray – and come to visit us at the Woolshed Brewery in country SA. Our brewery is situated right by the river in the property's old woolshed.. When you get here, show us you're a Cabal member and we'll sort you out with two tasting paddles for the price of one. Hops to Home specialise in getting the freshest beer possible straight to your door. It’s the gift you give to yourself that just keeps on giving. Every month. With a different mixed beer selection with each delivery, it's a fantastic way to enjoy different styles and discover brand new beers. This Cabal-only offer gives you the chance to get $10 off your order from Hops to Home each and every month. The fine folks at Hops to Home say they don't offer this kind of deal anywhere else so it's just for Cabalistas. You will see a special redemption code when you redeem this offer, to use when checking out on the Hops To Home site.